We spend enough time indoors as it is, so why not transform your backyard into an outdoor living oasis that you and your family can enjoy all year? Aesthetic Concrete Designs has more than 20 years’ experience installing custom concrete patios, driveways, and outdoor living features throughout the Kansas City area. Although fire pits are not a new concept, designing a concrete fire pit as a main feature of your patio has become very popular as of late. 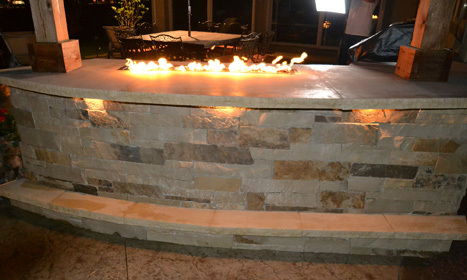 Aesthetic Concrete Designs builds and installs custom concrete fire pits that are either run by gas or are wood burning. When you need an outdoor fireplace and fire pit contractor in Kansas City that you can trust and depend on, we’re your team. 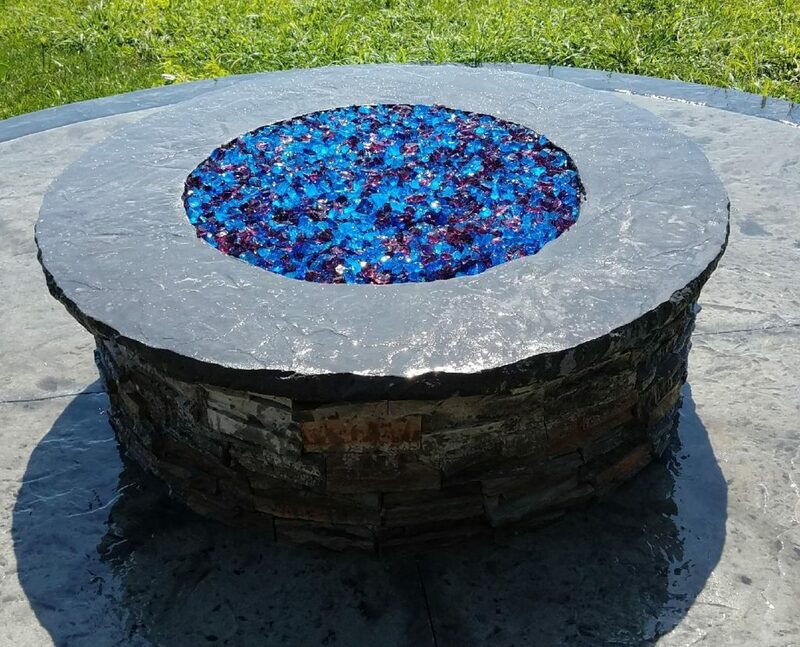 Once you’ve selected the fire pit design that you’ve always wanted, our team will handle the installation process and ensure that it’s done as properly so that you and your family can enjoy it for years to come. When you hire Aesthetic Concrete Designs, you’ll know that you’re getting high-quality service from experienced professionals. Whether you’re interested in a smaller fire pit for your family or a large fire pit for an outdoor living area, you’ll get exactly what you were hoping for. As a top concrete contractor in Kansas City, we have the expertise, skills, and equipment needed to properly design and install your new concrete fire pit. With our help, you’ll soon be able to enjoy nights around the fire with family and friends. Contact us today to get started on planning your new outdoor living space.